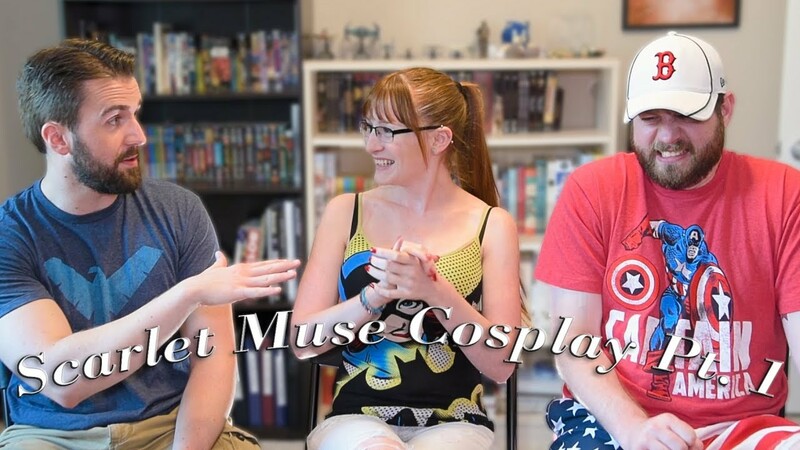 Scarlet Muse Cosplay is creating content you must be 18+ to view. Are you 18 years of age or older? I was 8 years old when I fell in love with costuming watching my dad make his own character costumes for Halloween. Halloween was my favorite holiday and an important one for my family, being my parent’s anniversary and my brother’s birthday. I have been making my own costumes since 2006 after joining anime club, going to my first convention, and taking a sewing class. In 2018 alone, I attended 34 conventions and guested at quite a few of them. From running panels and judging competitions to communicating with guests, I am just happy to be involved with so many wonderful events. This has really helped me to progress in the industry and learn quickly. As a happy owner of over 200 costumes, I am always making and acquiring more. Some are bought and altered, some are hand made, and some I just made the accessories for. I aim to keep the cosplay industry positive and inviting to everyone because when I was young it was very much my escape. In my experience, conventions were mostly the outcasts and people accepting of the outcasts. I got bullied a lot and it was the one place where we all fit in and no one was judging. You could wear or be anyone you wanted for a couple of days without worrying what anyone thought. We were all looking for friends and had our own "interesting" going on, so we weren't going to judge yours. Every contribution helps!! Thank you so much for your support! Thank you so much!! I am so happy to see how much you enjoy seeing and contributing to my new work! You will receive a token of my appreciation every Christmas and access to my private Discord channel! Thank you! Thank you! Thank you! You get 1 digital set every month, a token of my appreciation every Christmas, and access to my private Discord channel! I can't even begin to thank you enough! You get 2 digital sets monthly, a token of my appreciation every Christmas, and access to my private Discord channel. You also get access to "edgier" images that may not be posted anywhere else. You get 2 digital sets monthly, a token of my appreciation every Christmas, and access to my private limited discord channel where we can hangout! This channel is limited to 20 so that I can be sure to hear YOU out.